Captain Geoffrey Page of Sarasota, Florida, has been a fishing guide for 10 years working the waters from Tampa Bay south to Charlotte Harbor. An expert in light tackle flats fishing and beach tarpon fishing. Page fishes out of a 23' Pathfinder HPS Tournament powered with the new Yamaha SHO V-Max 250. 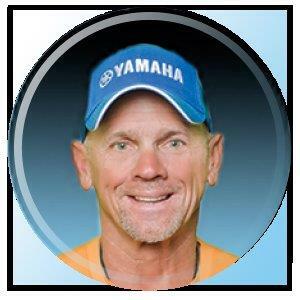 Geoffrey is a regular on the Professional Redfish circuit fishing in the ESPN Redfish Tour, IFA and FLW series. He has won first place finish along with at least 20 top ten finishes in 8 years of professional red fishing. Page is very active in CCA and The Pediatric Cancer Foundation. He has been a guest on many TV fishing shows over past 10 years. Sponsors include: Maverick Boat Company, Yamaha Outboards, Minn-Kota trolling motors, Humminbird electronics, Power Pole, Okuma Reels and Rods, Rapala, Power Pro, Saltwater Assassin, Economy Bait & Tackle in Sarasota, Florida.